These are the top 50 Twitter accounts to follow for job search advice in 2018! They provide everything you’ll need for your job search! Wouldn’t it be great to have access to only the best job search advice? That’s what you’ll find on this list. I’ve selected Twitter users who are are real practitioners- coaches, recruiters, HR professionals and resume writers who live this stuff every day. You’ll get up-to-date information on recruiting trends and how recruiters think. You’ll also find advice on personal branding and tips on how to use social media! These folks tweet regularly about job search. You can expect these active Twitter users to post at least once a day, if not more! 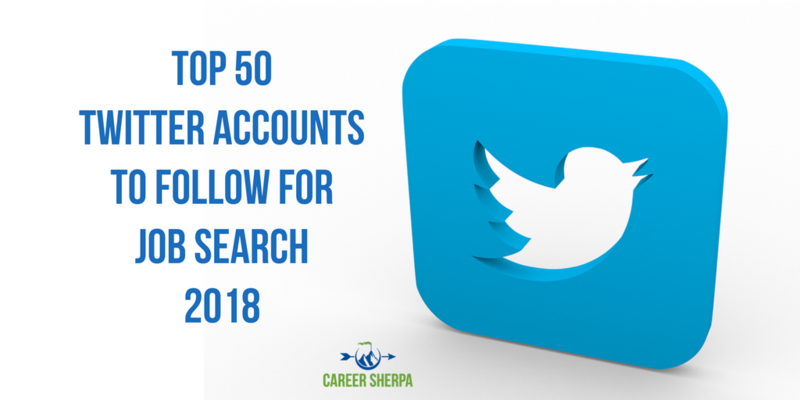 Do you think you should be on this list? Do you have over 5,000 followers? 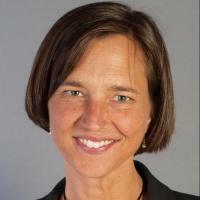 Do you share job search content written by other people? Are you regularly active on Twitter? Send me a DM on Twitter and we can chat! Follow the websites too if you like. Since not everyone tweets, you’ll find more advice for your job search through websites listed in 50+ Best Websites for Job Search 2017. Twitter can feel overwhelming. Lists provide a great way to organize and prioritize what you see! That’s why you need to create lists. 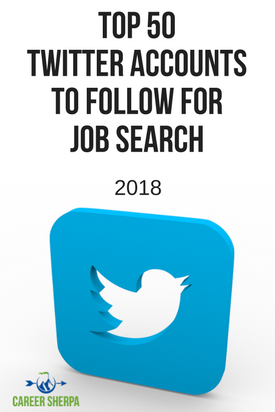 If you are looking for tips to help you use Twitter better and how to use it for your job search, check out this article. Twitter chats are a super way to interact in real time with other people! You can learn more about Twitter Chats here. Twitter Chat: Do You Participate?